Short Stop Chem-Dry takes pride in our unique approach to carpet cleaning in Detroit that leaves our customers with a healthier and much cleaner home. Chem-Dry has spent 40 years in the carpet cleaning business and we’ve spent that time perfecting our approach to carpet cleaning. Our highly trained technicians use only the best solutions and equipment to remove dirt and stains from your carpet. Our cleaning substances only require the use of a fraction of the moisture other cleaners require, allowing your carpets to dry quicker and helping in the prevention of the growth of mold and mildew under your carpet. Chem-Dry’s signature cleaning solution, The Natural®, is a cleaning solution that is tough on dirt but gentle on delicate carpet fibers. Our cleaning solution was recently Green Certified, making it the perfect green cleaning option for our friends in the Macomb and Wayne County Michigan area. Not only are our services great for homes with children and pets that will be spending a lot of time on the carpets, playing and crawling around, but these carpet cleaning services are designed for everyone who wishes to have a healthier home and reduced levels of toxins and bacteria! Our deep, healthy Chem-Dry carpet cleaning service is sure to exceed your expectations. We’re proud to be a carpet cleaning company in Wayne County and Macomb that is preferred by both commercial and residential customers. The Carpet and Rug Institute (CRI) designated Chem-Dry as a company deserving the CRI Seal of Approval for the innovative and unique Hot Carbonating System. This institution recognizes carpet cleaning companies who they feel are deserving of the award based on efficient cleaning standards and dedication to perfection with customers. The blue and green CRI Seal of Approval is proof that you are investing in a quality service. At Short Stop Chem-Dry, we’ve seen every kind of stain imaginable. Our motto is “If we can’t get it out, no one can!” We can remove virtually everything in carpets, including lipstick, nail polish, paint, red punch, blood, candle wax, and more. One stain that we see a lot is pet urine. We’ve even developed a special system, our Pet Urine Removal Treatment, designed to eliminate both the stain and the smell from pet urine in carpets. You don’t have to live with carpet stains any longer! You don’t need to take our word for how great our services are. We are consistently highly rated for our friendly and professional technicians, attention to detail, and ability to remove even the toughest of stains. 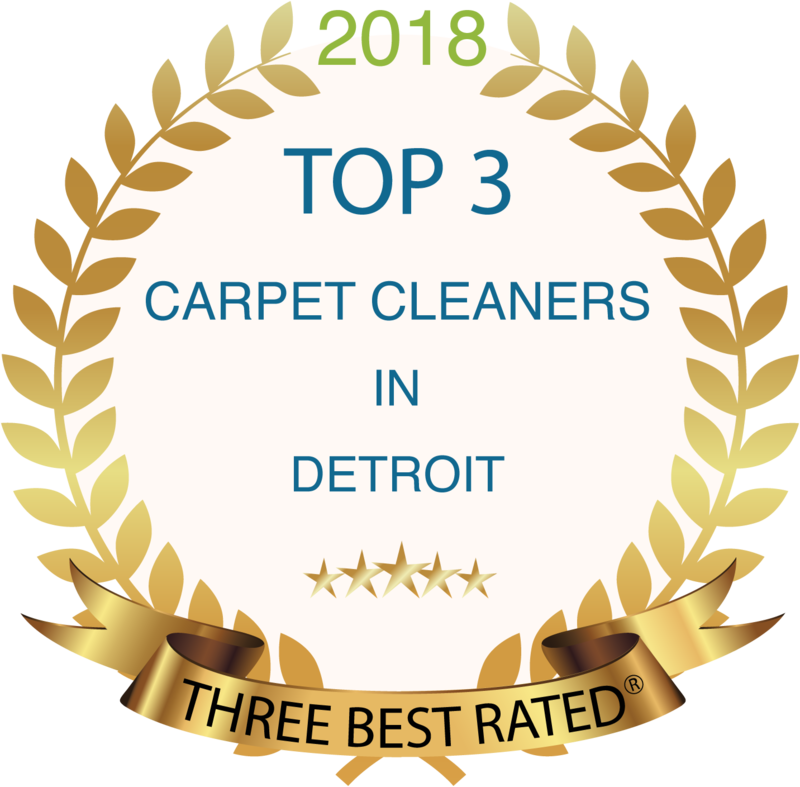 In fact, we were recently named one of the top three carpet cleaners in Detroit. Our amazing customers also often leave us great reviews. Why would you choose another carpet cleaner in the Detroit area when you know you will get great results from Short Stop Chem-Dry? Book your carpet cleaning today to save big! Be sure to mention one of these carpet cleaning coupons when talking to the technician to ensure you get a great deal! You and your family can enjoy cleaner carpets today! No more being embarrassed by an ugly stain or bad smell in your carpets. Just fresh, clean carpet for all to enjoy. Schedule your appointment today to see the difference that Chem-Dry can make in your home.